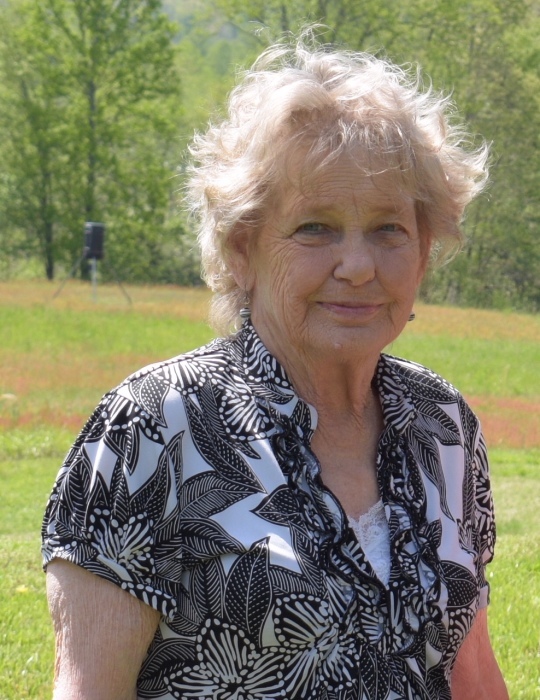 Mrs. Delois Roberts Willard, age 74, passed away on July 20, 2018 at her residence. She was born in Danville, VA on July 29, 1943 to the late Johnny Roberts and Mary Agness Murdock. Delois was married to the late Charles W. Willard; Sr. Delois was retired from Bacon Enterprises and enjoyed thrift shopping and spending time with her family. Delois is survived by daughters Diane Bass (Jim) of Ringgold, VA, Robbie Ann Bowman (Ronald) of Sutherlin, VA, and Nancy Russell of Danville, VA; sons, Charles Wesley Willard, Jr. (Tammy) of Pelham, NC and David Lee Willard (Kim) of Axton, VA; brother, Johnnie Lee Roberts of Utah; eleven grandchildren and four great-grandchildren. She was preceded in death by two brothers and one grandchild, Scottie Allen Russell, Jr.
Graveside services will be conducted Wednesday, July 25, 2018 at 11 A.M. at MT. View Cemetery with Pastor Ronnie Warner officiating. The family will receive friends at the residence, 217 Parsons Street, Danville, VA 24541. In lieu of flowers please send memorials to the American Heart Association, 3140 Chaparral Dr. #106, Roanoke, VA 24018. Swicegood Funeral Service is respectfully serving the Willard family.